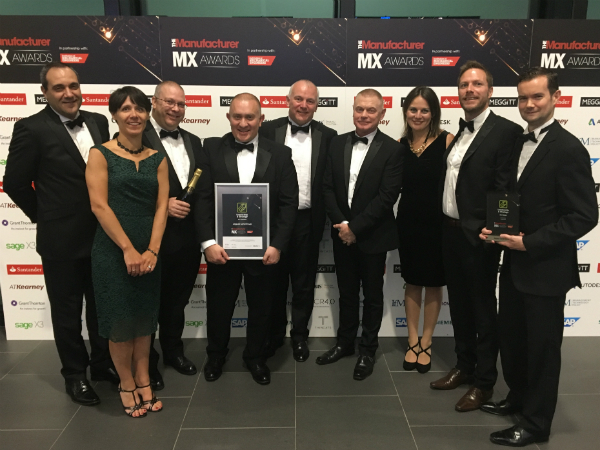 Last night, the Solihull Manufacturing Plant received the Strategy and Leadership award at The Manufacturer MX Awards. They fought off tough competition by demonstrating how they deliver an effective strategy through engaging leadership. The award submission included a half day site visit from the panel of judges where Solihull had to demonstrate the management systems and processes that support its strategic objectives. The senior management needed to illustrate how they promote the business culture and values including how they structure the business plan, identify and manage the risks and how they use key performance indicators (KPI’s) as performance measures across the plant. In the last few years, the Solihull Plant has launched the F-PACE, New Discovery, Range Rover Velar and PHEV and also increased its production volume to nearly 8,000 vehicles a week. An aligned and clear strategy has needed to be in place to successfully manage these launches and volume uplifts whilst driving continuous improvement across Safety, Quality, Delivery, Cost, People and Environment (SQDCPE). The Solihull Plant’s strategy provides a vertical line of sight to the Functional (manufacturing) and Enterprise Vision whilst being deployed through the plant’s technologies (Body, Paint, Trim and Logistics) to ensure its personalised and meaningful to everyone. The technology business plans then translate the opportunities and risks into tangible actions which are brought together alongside the cross-functional and enterprise enablers to form the plant’s Integrated Business Plan. Leaders Standard Work exists to ensure alignment at every level with rigorous and layered review (following a PDCA approach) providing the support and cultural enablement to underpin success. The Manufacturer MX Awards is an annual programme delivered by The Manufacturer, in association with the Institute of Mechanical Engineers.